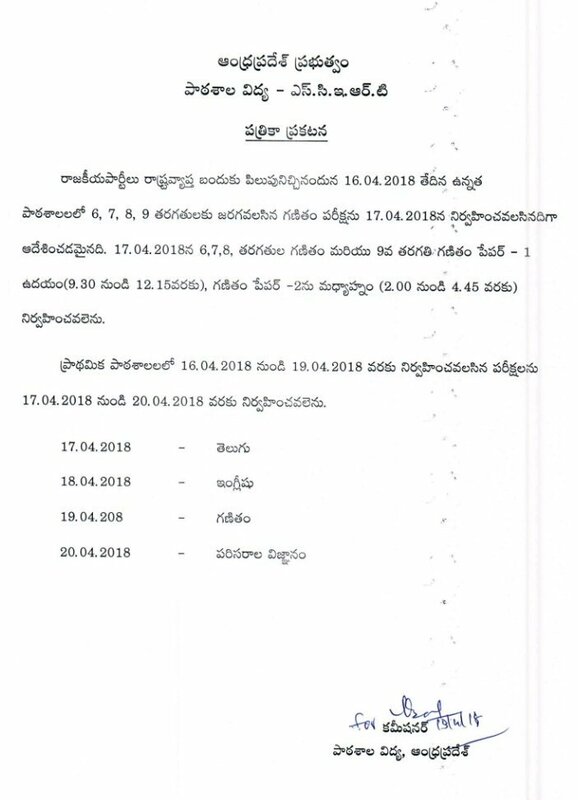 17-4-2018 exam Maths PAPER-2 for 9th class on the same day(17-4-2018) from 2pm to 4.45pm. For elementary exams was rescheduled from 17th to 19th. 17th Telugu, 18th English, 19th Maths and 20th EVS. No Comment to " SA Exams Postponed due to bandh "